The fact that Paro has one of the world’s most difficult runway approaches in the world makes for an exciting beginning to your holiday. Paro is best discovered on foot. 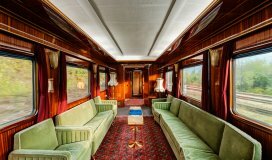 It is quaint and accessible, as the Bhutanese believe in modernisation, not Westernisation. So Bhutanese architecture dominates, and the main streets are full of two-storeyed homes and people in national dress (decreed by the government). Wander around for the day, and pop into one of the many exceptional restaurants for a bite – just remember, they’re lavish in their use of red chillies and pride themselves on it. If you wish to absorb the true beauty of Bhutan, book into one of the Paro Hotels and stay in this solace for at least a day or two. The experience is truly soothing. 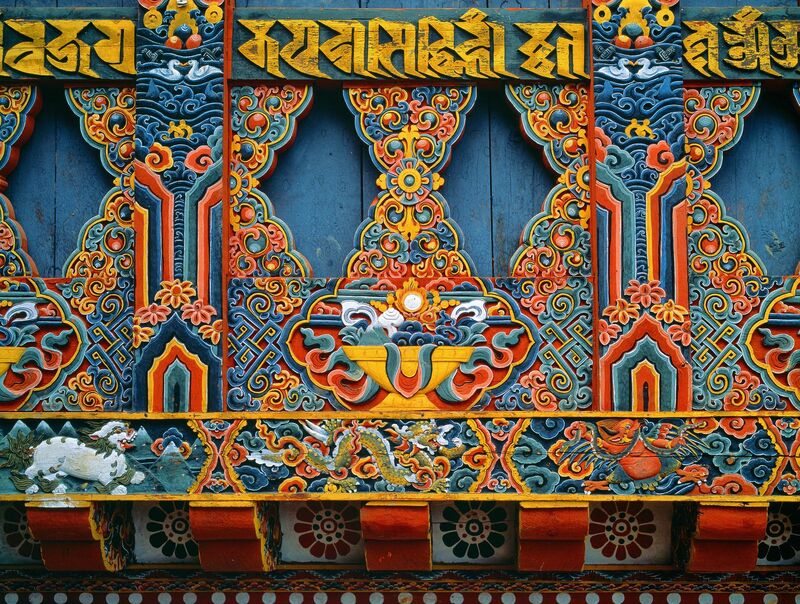 Bhutan’s widespread arts, crafts and culture. The capital hosts the Institute for Zorig Chusum (Painting School), which has a six-year training course in Bhutan’s 13 official traditional arts and crafts. Besides the gift shop, head to the Craft Bazaar, where artisans from around the country sell their wares. 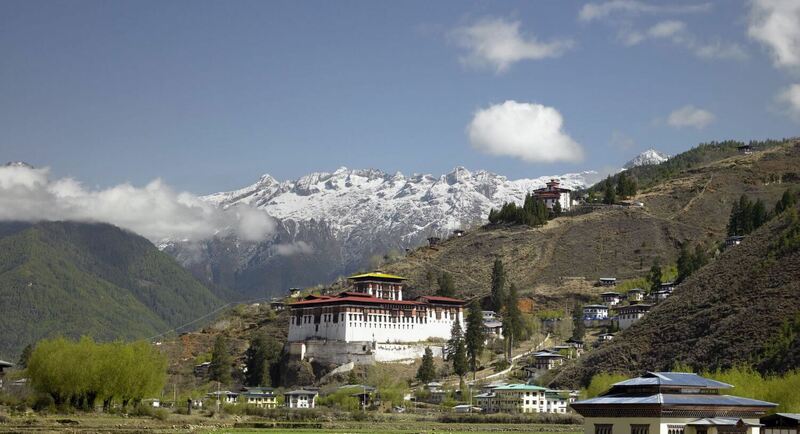 The city gives a fair idea of the country’s history through the 300 carved panels behind the prayer wheels at Simtokha Dzong, the paintings and statues at the Memorial Chorten, the Folk Heritage Museum, and the Trashi Chhoe Dzong, the current administrative and religious seat of office. This is also a great place to stay. Surf the list of Hotels in Thimphu and book into one of these beautiful Bhutanese Hotels to get a clear idea of Bhutanese architecture and decor. Having now gotten a more or less clear picture of what makes Bhutan tick, head towards its starker, otherworldly beauty. Along with Paro and Thimphu, the erstwhile capital of Bhutan, Punakha is one of the most popular destinations in the country. It’s a stunning town, best explored on foot. 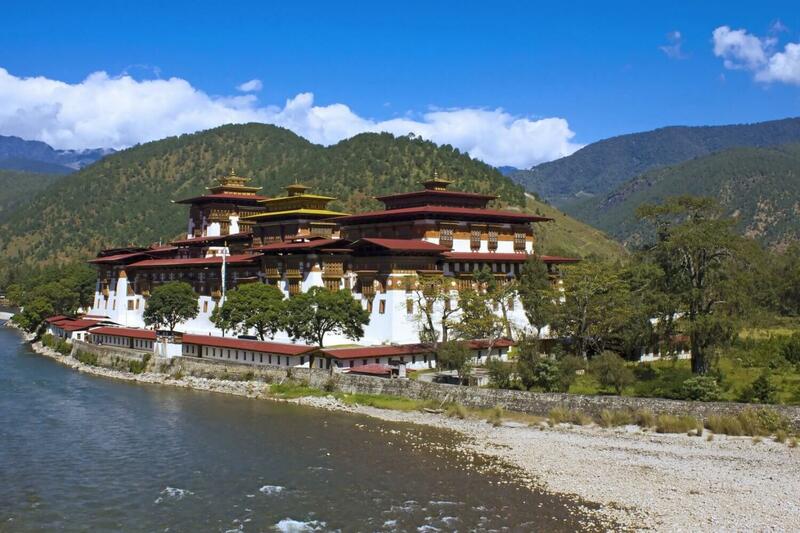 Head to the incredible fortress of Punakha Dzong (it’s the home of the embalmed body of Shabdrung Ngawang Namgyel, the Tibetan Buddhist lama and founder of Bhutan). 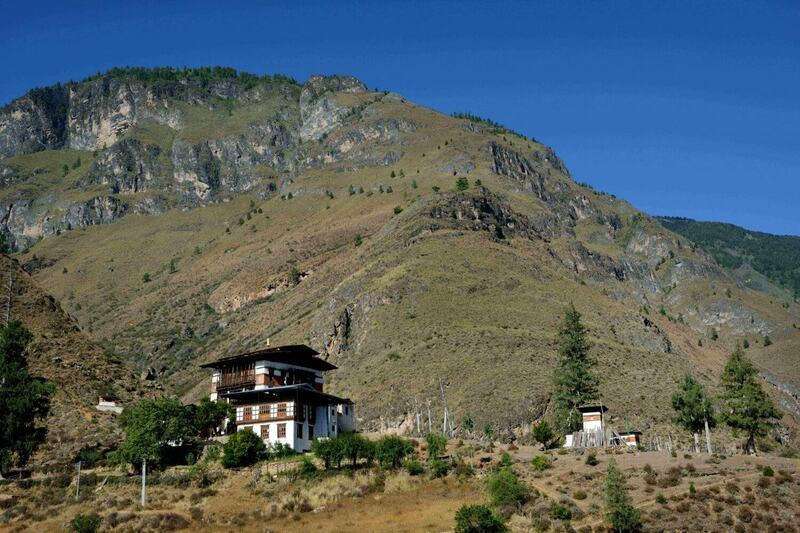 Don’t miss the Chimi Lhakhang, or temple of fertility, more for its slate carvings than a pilgrimage. 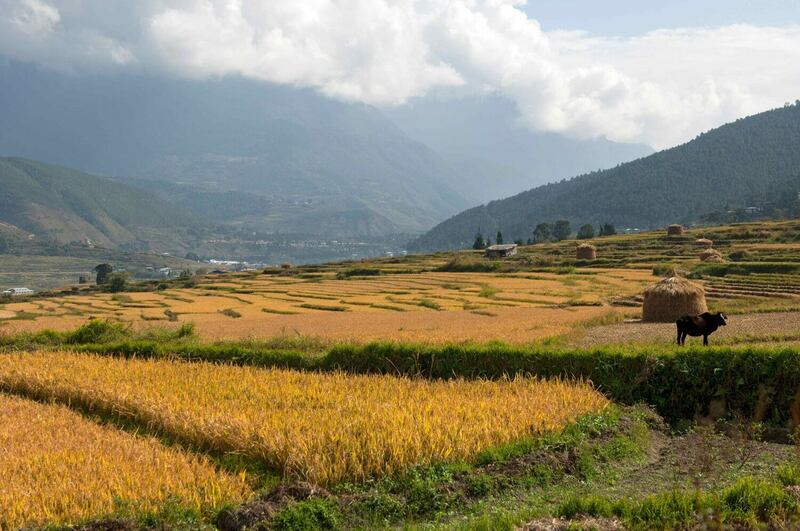 Huge stretches of lush paddy fields are a common sight in Wangdue. Often you get to walk through them as well, for example if you want to get to the Chimi Lhakhang monastery, located on a picturesque hillock. Then there’s the Langdra Nye or the Red Bull Sacred Site near Bai Village, one of the country’s most sacred sites where the Guru Rimpoche left a thumbprint on a rock. 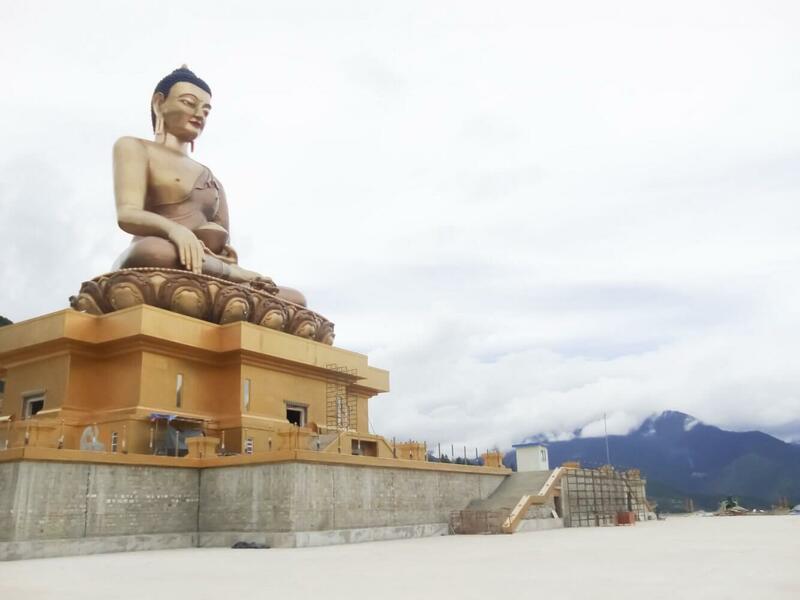 On the same religious note, don’t miss the Dargay Gompa, a monastery dedicated to one of the country’s most popular monks, Lam Drukpa Kuenley, who imparted sacred teachings through dirty jokes. Preserve. 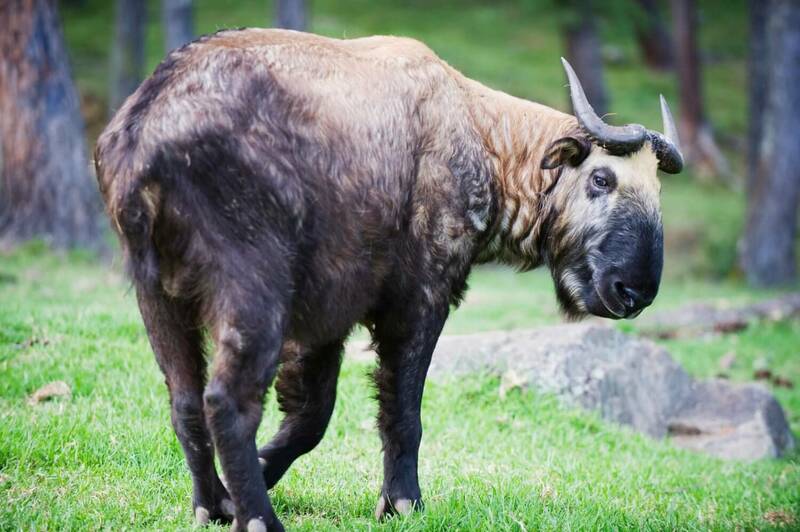 The takin is a species of goat (actually, a mix of a goat and a bull) that is Bhutan’s national animal, and as novel a draw as tiger cubs in the Singapore zoo. Be careful walking through the streets: you could be caught in the crossfire of the country’s archers. The national sport enjoys a healthy turn at the National Stadium during weekends, and the enthusiastic crowds are very infectious. Pick up handicrafts on the main road, Norzin Lam, and wind up the day with Druk 11000, their local beer, at any one of the local hotels on the street looking out at prayer wheels. Why not book into one of the Thimphu Hotels for a comfortable stay? Stray into the woods and capture the nature and wildlife of Bhutan in some random pictures that will stay memorable for life. Haa is nothing short of a trekker’s paradise. 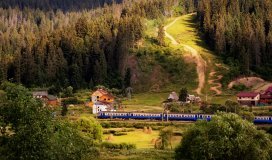 It’s one of the country’s most stunning valleys, with forests of alpine trees, and soaring peaks fringing every picture you try to take. The forests and slopes are unspoiled and perfect for hiking and mountain biking. Haa is also one of Bhutan’s most traditional spots and villagers still follow or believe in some of the ancient rituals of animal worship, including sacrifices and offering of animal blood to their deities. But the times have changed and the abundance of peaceful Buddhist monasteries dotting the vista is ample proof. This is a one-and-a-half hour journey, but it’s effortlessly stretched into a day. How? 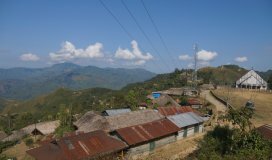 You will pass through the villages of Dogakha, Susuna and Jabana and each one makes for a memorable pit stop. It’s mainly the traditional farmhouses that you should stop for. The farmers are happy to play host while you watch them work in their farms. Somewhere along the way, you’ll pass the Chilela Pass, flanked by long stretches of prayer flags and the most exuberant outburst of wild roses, blue iris and multicoloured rhododendrons. 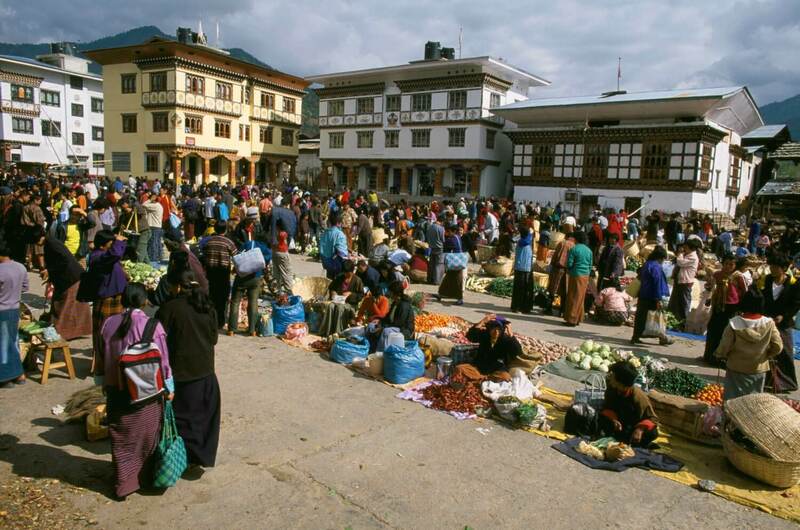 If you happen to be in Paro on a weekend, make sure the first thing you do in the morning is head to the Paro Sunday market. A spread of local produce is all the more enticing because of the unusual bits on sale – strings of dried yak cheese and orange betel nuts. Walk over to the Dumtse Lhakhang, the temple that’s been chained to the ground in fear of it flying to the heavens as well as to keep the demon it subdued under control. 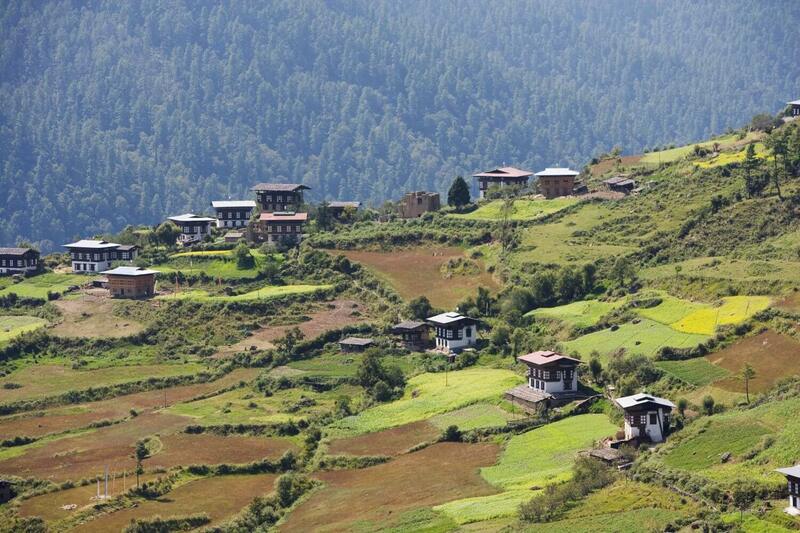 The valley of Paro is also full of beautiful traditional farmhouses, structures perfectly constructed without using nails. 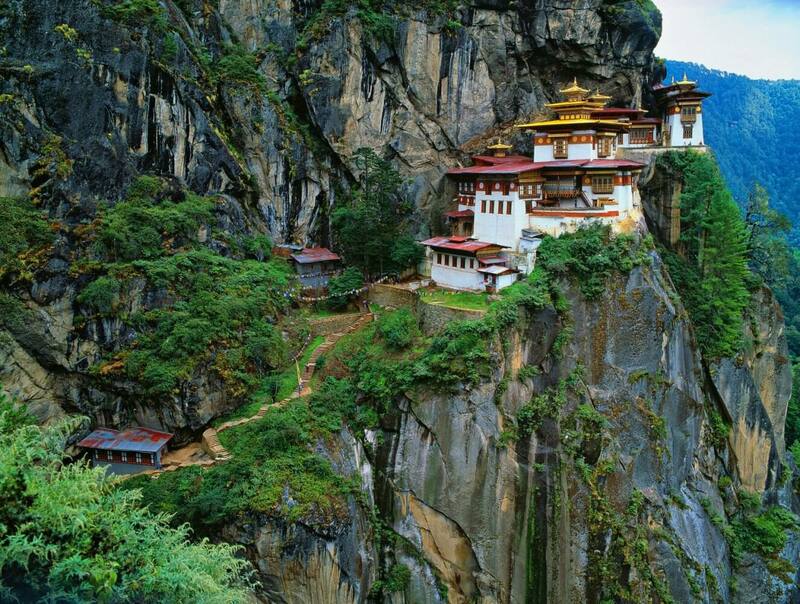 The Tiger’s Nest monastery or Taktsang Goemba is perched precariously on a cliffside just outside Paro. And like everything that might be tedious to get to, it’s totally worth the hike. The first part of the hike is around two hours that takes you to the viewing point where you can see your destination on the edge. Thankfully, there’s a café to fuel up at this point. The second stretch will take one-and-half hours and will take you into the caves, one of which harboured the Guru Padmasambhava for three months in the 8th century. Legend has it that the Guru had arrived on the back of a tigress from Tibet, and thus the monastery acquired the name. It’s your last day in Paro, and by now you’re practically a local. However, some thrills are meant only for tourists, so head to the Iron Horse temple or the Tachogang temple. It’s a pretty enough destination, but like all exceptional travels, it’s the journey that counts. In this case, it’s the mesh of wires that’s the suspension bridge that takes you over. An adrenaline rush like no other. 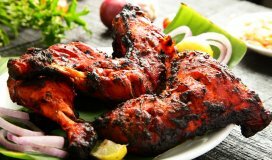 Wrap up with a great meal at Paro: yak patties, momos, hentshey dates or pizza or good ol’ Indian food. The stay you chose from Paro Hotels List turned out to be truly homely and peaceful. Now it is time to leave and you are just not in the mood to let go of this joy of staying in Bhutan. 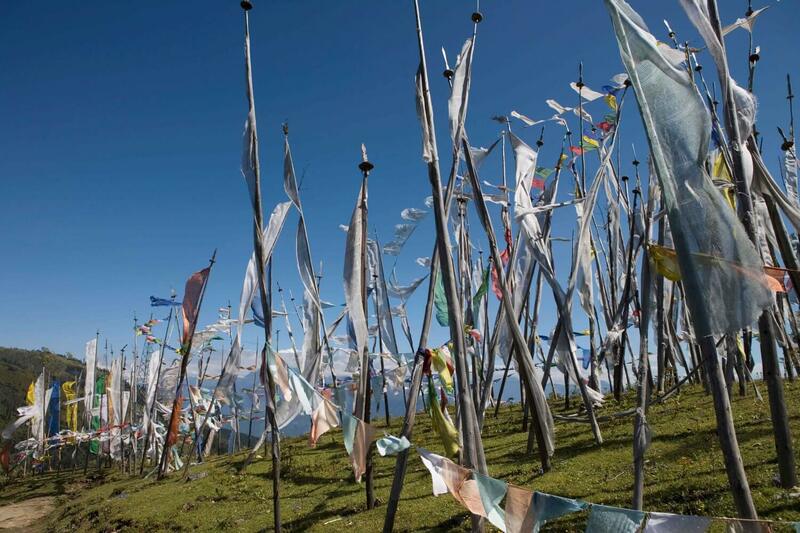 Bhutan’s home to some of the world’s best cultural festivals. The annual summer festival in Haa is a revisit of old traditions, while the Black Necked Crane Festival in November is dedicated to the rare and endangered bird. The latest addition to the roster is the Mountain Echoes Literary Festival in April that celebrates literature and the arts in the hills.